I thought we were done with the flagship unveiling (save for Motorola and its X phone. Throw in some random Apple surprise, if any, from WWDC there as well) for this year until the time of the IFA and of course the usual fourth quarter when we have the Nexus, the iPhone and a host of other devices being unveiled but it seems I was wrong. If recently leaked photos of a new flagship from Chinese smartphone manufacturer Huawei are anything to go by, we are yet to see the most stunning design of a smartphone yet. Forget the HTC One; I’m talking about the Huawei EDGE. Photos have surfaced online of the device rumoured to be named Huawei EDGE that is expected to be unveiled by the second half of the year. That’s around 2 months from now at the earliest. Whether the timing of the release is appropriate, I am not sure but boy, that smartphone is stunning, in every sense of the word. It is a beauty. The HTC One has received rave reviews from bloggers all over but if looks are anything to go by, the Huawei EDGE is sure to be a strong contender to beat the HTC flagship hands down. The Huawei EDGE has an aluminum unibody design and a “premium look and feel” that the anti-plastic brigade will surely have the time of their lives when they lay their hands on such a piece of hardware. 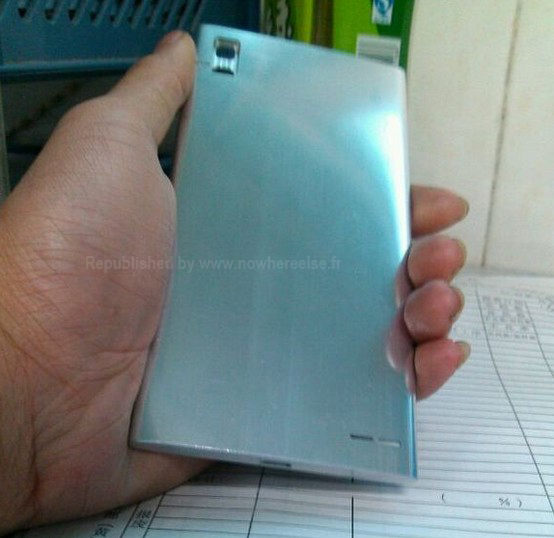 Huawei surprised us by being the first to launch a smartphone (eer, phablet) with more than 6 inches. The 6.1 inched Ascend Mate (now eclipsed by the 6.3 inch Galaxy Mega) that it announced at CES rocking a very crisp display surely turned many heads. The Huawei EDGE, if it materializes, will even turn more heads. 2600 mAh battery. This is smaller than the mammoth 3000 mAh battery found in the flagship Ascend D2 but it is still more juice compared to the HTC One’s offering of 2300 mAh. To be available in 16 GB and 32 GB versions. Whether launching way after the Galaxy S4 and the other flagships like the Xperia Z have shipped and around the time the X phone from Google and Motorola will be out will impact on the way the market receives it is something we’ll wait to see.